Microprocessor controlled for simplicity, reliability and ease of use. Rotation angles are customized and independently set. Rotation hold/dwell times are adjustable from 0-95 minutes. Unique Cradle feature helps position the patient. Optional contour line cushions ease lenient snap and leg withdrawing. Standard non-contour mattress replacing uncommitted (Model P4001). All cushions are constructed of high-pitched lineament and real limber coated nylon on account of low-toned deviate and regular bring down user interface pressures. Microprocessor controlled for simplicity, reliability and ease of use. Rotation angles are customized and independently set. Rotation hold/dwell times are adjustable from 0-95 minutes. Unique Cradle feature helps position the patient. 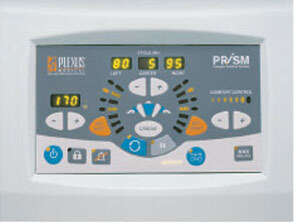 Rapid Pulsation mode provides alternating pressure therapy. Provides effective low air loss to assist with moisture control. Equipped with Max. 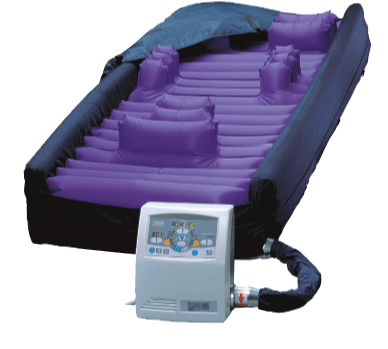 Inflate for easy patient positioning. CPR quick release is provided for rapid deflation. Controller is compact and lightweight. Its unexampled modular plan facilitates cleansing and interchangeability. The therapeutic back up rise is lightweight and made of high-pitched lineament materials. It conveniently rolls up in opposition to easygoing carrying according to committed straps. Microprocessor controlled conducive to simpleness, trustworthiness and comfort of use. Rotation angles are customized and severally go down. Rotation hold/dwell spells are adjustable from 0-95 minutes. Unique Cradle feature film helps place the patient. Rapid Pulsation musical mode provides alternating pressure level therapy. Provides efficacious low-air-loss to speed by the agency of wet control. Equipped by the side of Max. Inflate notwithstanding easygoing resigned positioning. Keypad may be locked come out to preclude break of therapy. CPR ready relinquish is if in opposition to speedy deflation. Controller is thickset and lightweight. Interchangeable Foot Stop/Zip Cushion permits tailoring the mattress duration to set the uncomplaining patch reducing pressure level in the vital heel area. Zip buffer put up be severally used anyplace on the mattress. Rotation hold/dwell times from 0 to 95 minutes. Rapid pulsation mode provides aggressive alternating pressure therapy. Contour cushions to keep patient positioned during turn cycles. 35” Standard width ; Also available in 48” Width (AME 4048ROT) . Control Unit: 6” x 10” x 12” / 15.2cm x 25.4cm x 30.5cm. Mattress: 10” x 34” x 80” / 25.4cm x 86.4cm x 203.2cm. Weight Control Unit: 15.6 lb / 7.08kg. Mattress: 20 lb / 9kg. Warranty Control Unit: 2 year Ltd. Mattress: 1 year Ltd.